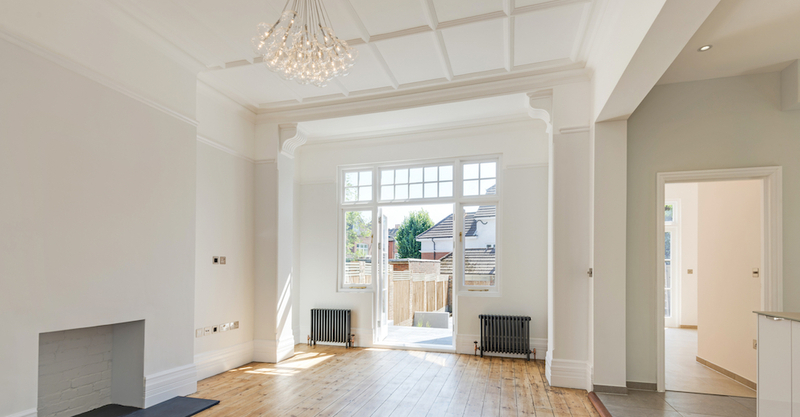 EB worked with our client to totally refurbish this Edwardian property which required extensive modernisation and structural alterations to create a beautiful living space. The house is situated in a conservation area and the work required a significant amount of restoration to period features. New wiring and data throughout. The result has brought a new lease of life to the property, unlocking its potential, a stunning refurbishment and restoration.